SAM Putt Lab Description: A Revolution in the Analysis of the Short Game Motion. 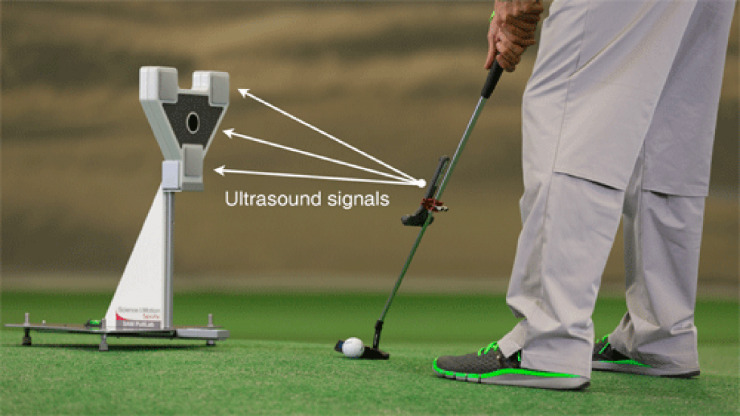 Researchers and Golf Professionals joined forces to develop the first computer aided analysis of the short game. The SAM Putt Lab is a unique high-tech system that measures and analyzes all movement details of putting and chipping. In practice mode, the short game can be improved to spectacular levels. Whether you're trying to lower your score or get ready for the course, SAM Putt Lab will improve your play significantly! There are three product editions available for the SAM Putt Lab. SAM is out on its own in terms of analysis. Why? It's quite simple. It's all to do with frames per second. Price excludes V.A.T and shipping.